The Mint Scale grading system is one of many different coin grading systems in existence. The process takes into consideration polishing, scratches, rims and blemishes on a striking. The highest rating a coin can get is MS70, which indicates that no identifiable markings can be found. An MS69 grade indicates that some minor blemish was noticed. When a professional expert grades a coin, he will seal it in plastic and label the coin with its grade, type, date, variety and mint mark. 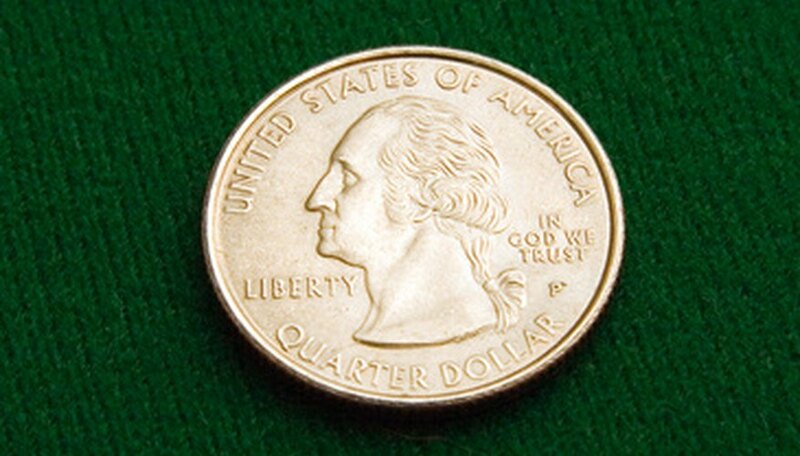 The Mint Scale rating applies to all kinds of coins, including common denominations such as pennies, nickels, quarters and dollars, but also includes rarer coins such as half dollars and coins with errors in their striking. An MS70 grade is the highest a coin may receive, designating it as a "perfect" coin with no blemishes, a vibrant shine, and a full strike. A coin with an MS69 rating is near-perfect, but has some form of identifiable disfiguring, such as a hairline scratch. A coin with an MS70 rating will often be priced much higher than the same coin with an MS69 rating. While the blemish on the MS69-rated coin may be virtually undetectable to the naked eye, the rating itself helps determine its value. As the difference between a coin with an MS69 grade and another coin with an MS70 rating is so small, some coin collectors may prefer to purchase coins with lower grades and allow their value to appreciate over time. There are several professional organizations with certified rights to grade coins. How one organization grades a particular coin may differ slightly from how another grades it, making the difference between an MS69 and MS70 rating (or any other rating, for that matter) arbitrary, as no literal "rules" for grading coins exist. A coin collector who wants to have his coins graded should research multiple organizations before selecting one and taking his coins in to receive a grading. The Mint State rating system does not take into consideration the rarity of a coin. Both a commonly found striking and a rare striking can receive MS70 ratings, depending on how well the coin has been preserved. Also, because a coin is sealed in plastic after it is graded, this prevents a coin collector for switching a graded coin with one of lesser value. She cannot replace a coin graded with an MS70 value with a coin of lesser value and sell it at a price higher than it is worth.